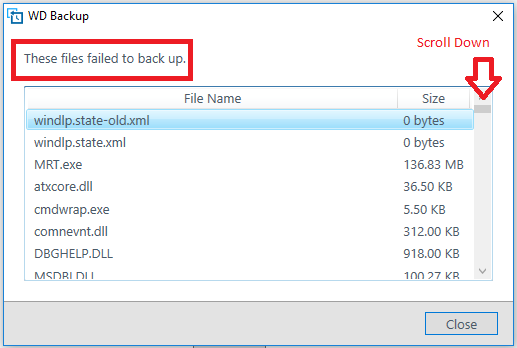 WD Backup "These Files Failed to Back Up"
WD Backup failed to backup all files in the backup policy. 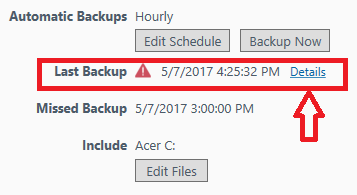 WD Backup will not backup files that are locked or in use by the Windows operating system, running software, programs or processes. The steps listed below will resolve most failed file backup issues.